Opening up dictionaries, linguistic data and language tools for European communities. The ELEXIS network has grown by 20 new observers! ELEXIS includes 17 partner and 20 observer institutions from 28 countries. A new tool for finding research related to ELEXIS is available. Currently, almost 300 institutions are accessing available ELEXIS tools. This includes more than 12,900 individual users. ELEXIS representatives organise, support and attend various events around the world. See where you can meet them next and connect with them directly. 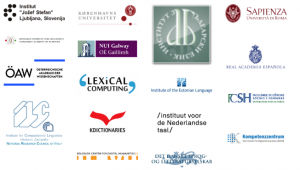 The ELEXIS project benefits from the expertise of some of the top experts in the fields of lexicography, linguistics and natural language processing, who agreed to share their experience and contribute their efforts to the success of the project.